In my quest to improve Logan's eating habits, I found a few sites that are focused on making food fun (no matter what vegetable you are sneaking in). Funky Lunch - where you can find beautiful sandwich art like Mater. Can't wait for the book. 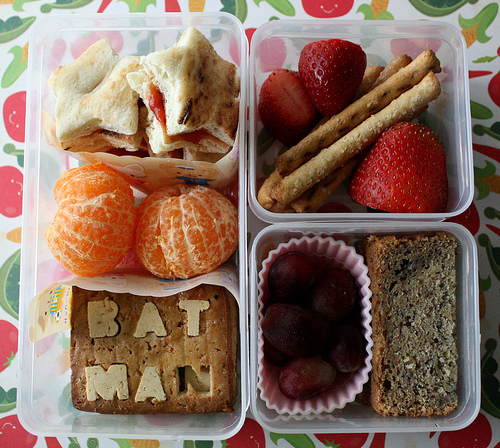 And finally, I've discovered bento boxes. OK, so I knew about them (my hubby even has one he's never used) but I didn't think of using it for preschool lunches until I heard a podcast from Meal Makeover Moms. They can probably even be considered an art form!